Beginners will make a silver band ring, and then progress to making items such as earrings, bangles, pendants, cuff links and brooches to their own design. Those with experience will build on existing skills by working on individual projects with one-to-one guidance. Beginners will learn essential techniques such as saw piercing, filing, texturing, soldering and polishing. Others will refine their existing skills and learn other techniques applicable to their individual projects. An extensive range of tools is provided. You will have use of professional equipment such as a rolling mill; bracelet and ring mandrels; a bracelet-forming die set; doming block and dies; texturing hammers; disc cutters and a tumble polisher. Information will be given on tools and materials for those wishing to continue at home and a small selection of tools will also be available to purchase. A range of abilities including beginners. Materials are not included in your course fee. This is because the amounts used vary from person to person, depending on the project(s) completed. 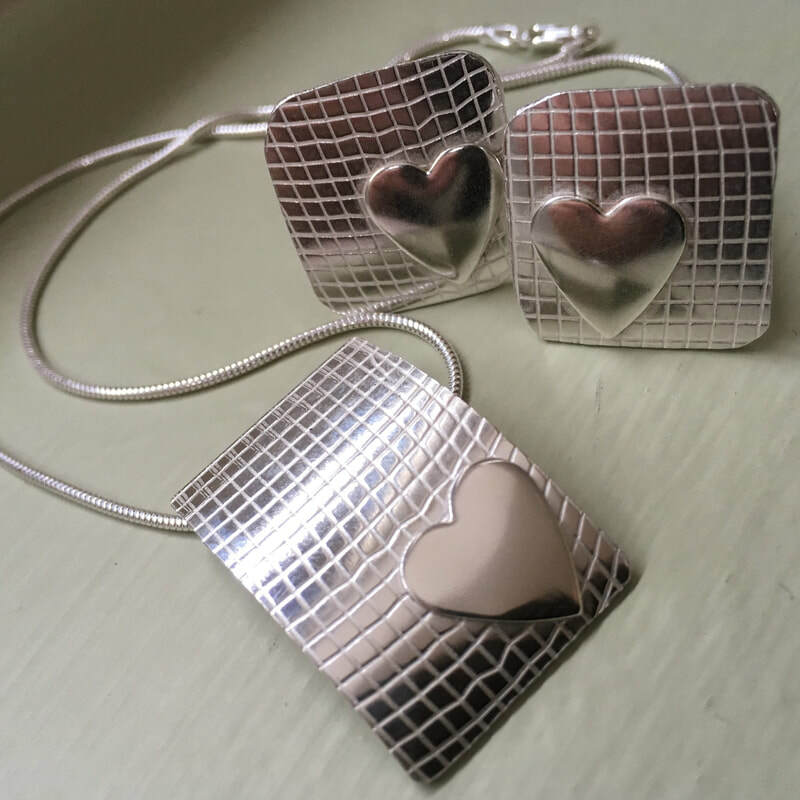 Materials can be purchased from the tutor, the cost of which depends on the size and quantity of the pieces made and the ever-fluctuating price of silver. Usually this cost is in the region of £30–£40 for a 2-day course. There is a cover charge of £2.50 per day to pay for consumable items such as saw blades and solder. The tutor may not have the facilities to take card payments in the workshops. Please remember to bring cash or your cheque book.